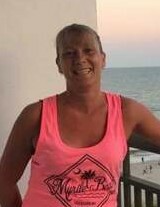 Amy Brandenburg-Morris, 48, of Springfield, went to be with the Lord on January 23, 2019. She was born September 26, 1970. She is survived by her husband; Tom Morris II, her mother; Charlene Aper, her daughter; Heather (Kyle) Brandenburg, her son; Cody Kellum, her granddaughter who was her pride and joy; Gracie Jaymes Wheeler, sisters; Beth (Steve) Anon and Kelli Brandenburg, brothers; Jim (Jenny) Brandenburg and Chuck (Treva) Brandenburg, mother in law; Linda Jones, father in law; Thomas Morris, extended children; Brett, Carla Jaynes, Kerissa, Jeremy Craycraft, Kortni Morris, Gracie Morris, many grandchildren, nieces and nephews, great nieces and great nephews, sisters in law; Lorinda Buck and Amanda Laughrey, special friend and cuz; Lavaya Kettlehake and many fiends including Brian Kellum. She was preceded in death by her sister; Cheryl R. Fent, her father; James Brandenburg and her step father; Ed Aper. Funeral services will be held at 1:30PM Wednesday in the JONES-KENNEY-ZECHMAN FUNERAL HOME with Amy’s mother in law Linda Jones officiating. Friends may visit with the family from 12:00Noon until the time of the services. Burial will follow in Rose Hill Burial Park. Condolences may be shared at www.jkzfh.com.